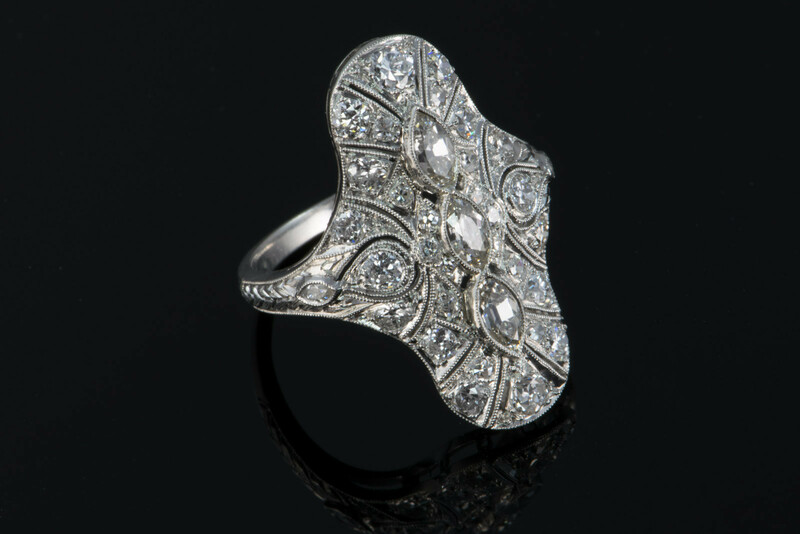 This tasteful estate ring is sure to be loved by those who appreciate classic style. 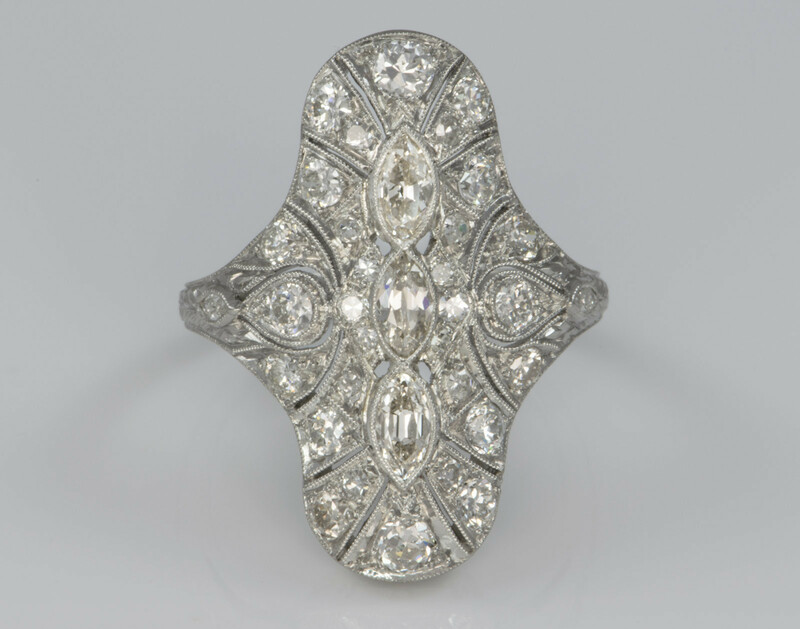 From 1900-1915, during the reign of King Edward VII, the upper class of Europe and America wore a style featuring the highest quality metals and stones inspired by the 18th century French court that would later be classified as the Edwardian style. 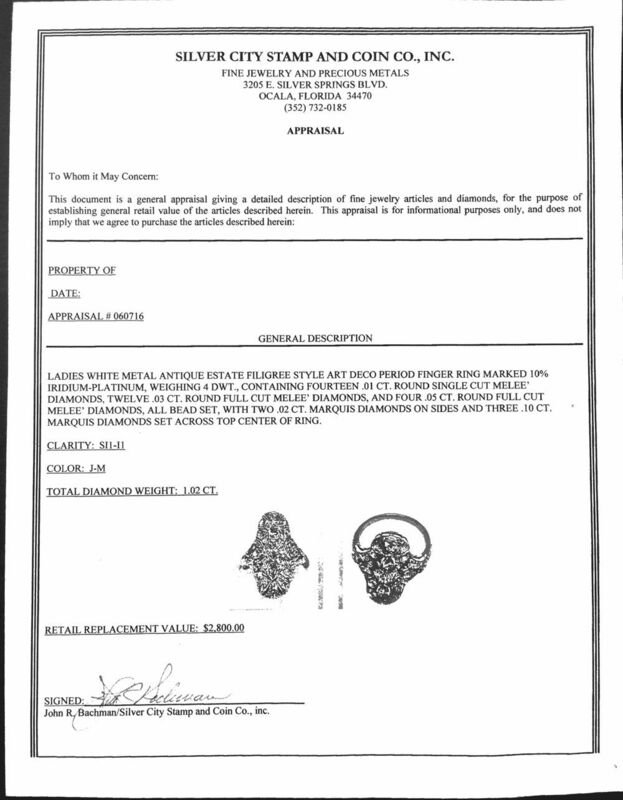 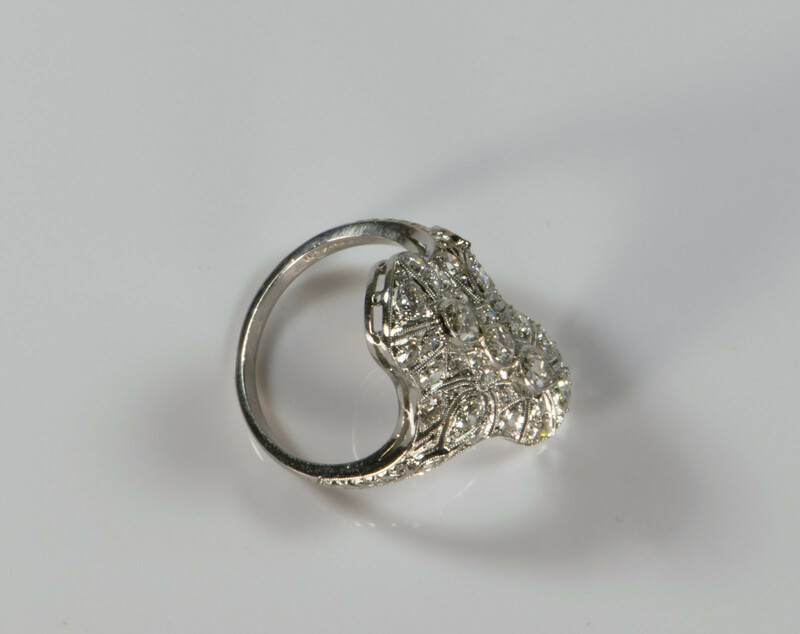 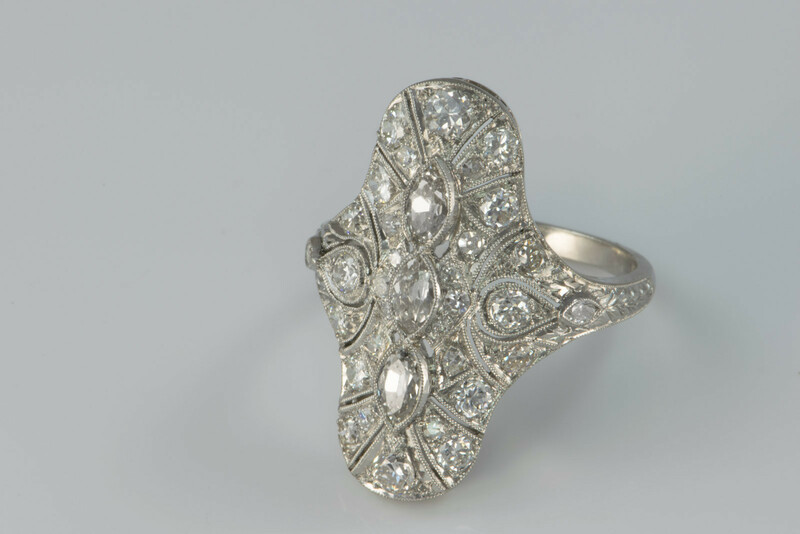 This ring, with its the fine filagree work and bead set diamonds, is easy to identify as a piece made in that style and time period. 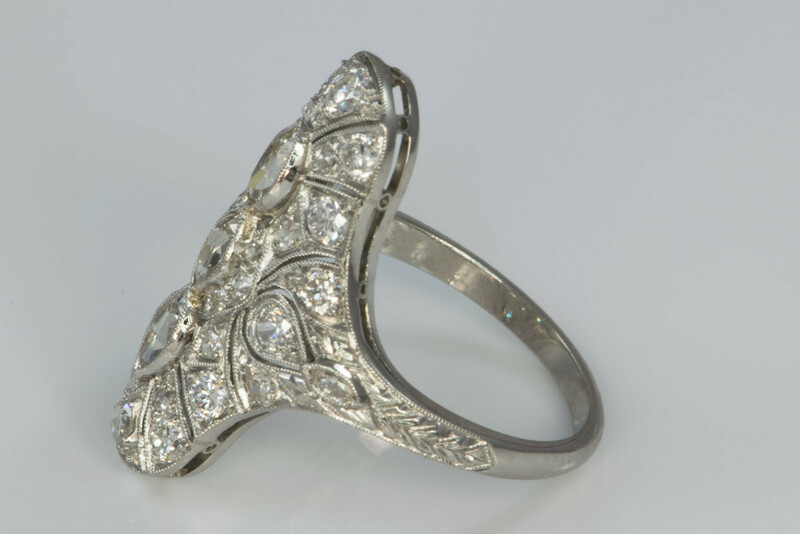 Crafted in a period of high standards for both workmanship and etiquette, this ring is a beautiful piece of history that will be valued for generations to come.